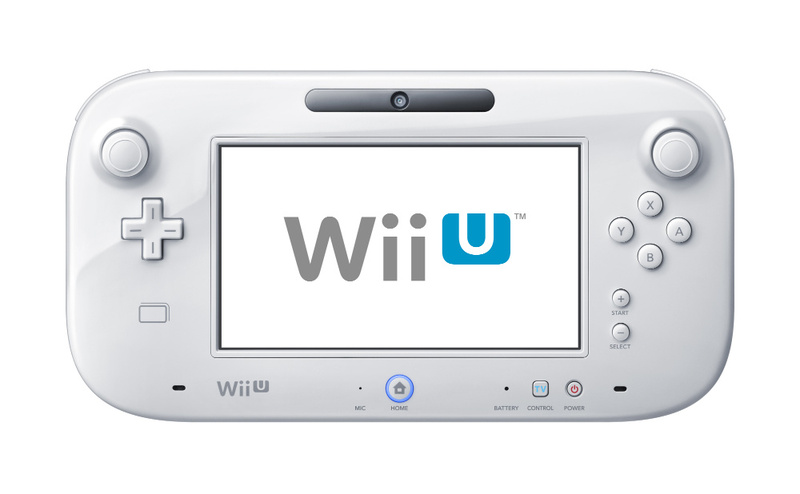 The developers responsible for the Dolphin emulator have successfully reverse-engineered the Wii U GamePad, shedding light on exactly how the piece of tech works. The hackers found that Nintendo is using custom protocols to beam information from the pad to the console (and back), which discounts previous theories that the Wii U made use of Miracast technology. I don't see any reason why it could not send GamePad video/audio to the internet (both internet and GamePad might be difficult/impossible). The firmware of the chip handling communication with the GamePad (called DRH) can be upgraded, so this might be in Nintendo's future plans. Only speculation though, we didn't see anything in the firmware that would indicate they are planning to do this. Bourdon also confirmed that support for two GamePads being used simultaneously on the same console is already present in the current firmware. Nintendo has already said that this will happen in the future, but it's nice to know that the functionality is already in place. Below you can see video evidence of the team's work — they've successfully emulated the Wii U GamePad on a PC. I don't understand hackers. Why can't they just enjoy the first party software? As long as people don't use hacking to take money away from the people that deserve it I think it's okay. Using hacks to download every game for free only hurts the possibility of better games in the future. @omega150 Not all hackers are bad. Back in the day modder were also hackers as they didn't have access to the dev kits. Those modder spawned alot of great IPs that are being released to this day. @MonsieurRosbif I don't understand you. Why don't you want to further enjoy the first party software? I expect Nintendo to be cloud gaming by their next console. If they roll it out on Wii-U, I would be shocked they were on the ball with this tech. All my VC hopes will be in the cloud eventually I guess. I always thought the gamepad streaming video images without any lag whatsoever, like never, was brilliant. I think Nintendo isn't given due credit for its innovative tech, but honestly, they never stand on a soapbox & inform us of it. Some of information was already mentioned in Iwata Asks interviews. But it's good to know the GamePad firmware is upgradeable to some degree for possible future improvements and features. ... then why NOT have support for dual controllers now? Its more evidence 9in my eyes) that the Wii U wasn't ready for release last year. Nintendo is usally so good about getting the product right the first time, but in Wii U's case it sure appears that they dropped the ball by releasing an unfinished product. @theadrock13 Obviously it's already supported. There's just no games yet to make use of it. they don't have support for two controllers because each gamepad will cost US$100.00 or more which most people won't be willing to pay for a gamepad. @Zyph by "support" I mean more than just a theoretical vision of some future ability that a hacker had to make known to us. Does Nintendo sell a second controller individually? How do I go about attaching it to the system? Can the OS currently function with two at the same time? I'm suggesting that Nintendo ought to support and push this as an option now. Its one of the most common critiques of the WiiU that only one person gets to have the cool controller. If this system was built to have two, then make it so. why are you asking how you would attach it to the system? when it has the same function of connecting it like the wii remote o.O but another thing why release that function of 2 controllers if you will have the second one laying around not able to use it in any feature yet? im sure they already thought of features/apps to use it in the future along with games whats the rush? @snoox I think what Nintendo is doing is the real nextgen.... I thought that in the Wii days as well. This idea that "nextgen" should only reference to graphical fidelity is absurd. As a primarily PC gamer I have to shake my head at everyone of these snob Sony/MS fangirls who feel the need to rip on a company because they aren't pushing the envelope graphically is beyond silly. If graphics were so important why would you gimp your experience with a PS3 or PS4 for that matter, when PC gamers have been enjoying "nextgen" graphics for 3 years now? Motion controls were revolutionary in 2007, and I find the zero latency streaming revolutionary for 2013... I'm excited at the possibilities of being able to stream my PC games Off-Monitor play style far more incredibly thrilling then real time ray tracing (the pinnacle of graphical fidelity). The idea that while I'm playing I can just beam my game to my controller and do other things in my house while watching cutscenes feels like the future IMO, more then the same games with a shinier coat of paint. What I can't wait to read is all the dismals of off tv-play when PS4 owners start using their Vita to attempt off tv play. I can see it now "Off TV play is stupid because there is too much input lag to make it worthwile, Nintendo fan boys are silly for thinking this is so great"
The vita is stuck with Wireless N... If Wireless N was fast enough to support zero latency streaming, Nintendo being a company that pursues the cheapest avenue to build hardware would have just stuck with the far cheaper wireless N instead of the costly brand new streaming tech they were able to snag. @Hyperstar96 I didn't say that. All I said was that we already knew the Wii U controller firmware was upgradable before this 'news'. No idea how you took that to mean that I don't want to enjoy more first party titles! Like the rest of us, I'd love more first party stuff. @theadrock13 Can you imagine the confusion if they started selling stand alone gamepads right now? People already think the Wii U is just a tablet controller for the regular Wii.... If people are angry now that they bought a $60 Wii U game and it doesn't work on their regular Wii, imagine how angry they will be when they buy the $140 Wii U controller and it doesn't work on their Wii. Nintendo would be smart to hold off on adding second gamepad play until they feel reasonbly comfortable that "MOST" consummers know the Wii U is a new console instead of just an add on for their OG Wii. To be honest, I think you're missing the point of the Wii U if you're so anxious to have two Wii U gamepads. Sure it could have its advantages, but the whole point is asymmetrical gameplay. You have four people using the TV to do one thing, while another person uses the gamepad to do something else. On the Nintendo's previous systems, it was important to have multiple controllers to play multiplayer games, but on the Wii U that purpose is served by the Wii Remotes. The Wii U Gamepad is a separate beast altogether. As for the actual support, obviously there would be a lot of logistical issues if they started providing support for two gamepads when no software existed that could use them. It is possible to sync another gamepad with the system easily (I've tried), but it disables the first one immediately. Essentially, you can only have one Gamepad connected to the Wii U currently because there is no use for more than one. @FiveDigitLP My point is that Nintendo is selling a system that they clearly haven't finished developing. Wasn't the U billed as not just a game console but as the new hub of your livingroom entertainment system, to integrate all media with control from the gamepad? Well, a second pad could be useful, His and Hers. Not to mention that the U doesn't even fuction properly as the media hub that they claimed. Look, I'm not a Nintendo hater, but it looks like they rushed the U to market when it wasn't finished and now its suffering. If I'm wrong, then fine. Before Nintendo makes a good first party game that makes use of 2 Gamepads they need to make 1 good first party game that makes use of the WiiU. Read through all previous 19 comments and I didn't see anybody mention it and I felt it had to be said. I just don't feel that this is one of those areas that was rushed. I just personally feel that it is a lower priority feature. Sure it will be nice to have two Gamepads eventually, but I don't think it's what makes the system so special. @element187: Amen. To what you said about graphical fidelity. Nintendo mentioned it was possible, last year... there just isn't a point to it yet. If people are so worried about graphics, just hold out for an Expansion Pak 2.
i agree so freakin pointless this to me is the biggest form of looser there is ! what do they get out of it ? @MonsieurRosbif I thought the same thing when i saw this article read the comment he responded with. This shouldn't be a surprise to anyone. Ooh, that's a cool hack. Actually, I'd love to be able to do the opposite, use a Gamepad as a remote screen for my PC. I'd spend however much for an extra one if I could do that. Great. Now contact me when I can use the Gamepad as a 2nd monitor + joystick for Steam. Gah, this again? What is this, 1993? There needs to be a new term to describe people who utilize hacking skills for illegal or immoral purposes, such as identity theft or software piracy. People with hacking skills who use it to run custom homebrew on their own systems, dissect the machine to learn how to emulate it, or simply explore the hardware they purchased are not evil. It is exactly these types of people who help the industry thrive. Don't hate them! If the person who made that video can help write software that will allow me to use my Wii U gamepad on my PC as a touch-screen controller, then that person is my hero. Why shouldn't I be allowed to do this? I legally own my PC, the Wii U and its gamepad, and I should be able to use it as I wish so long as it does not infringe Nintendo's rights. If Nintendo would just do what Microsoft does and make their console hardware work with my PC, I wouldn't be relying on a "hacker" to do it in the first place! I find it fascinating that when someone hacks, emulates or creates homebrew game for a vintage gaming console, they are congratulated by the community, but when they do something of a similar nature for a modern console, they are completely shunned by the same gaming community. And add the point that modern consoles are a lot more difficult to hack and develop for than the old 8-bit throwbacks. Well, have fun with implimenting motion control. And it's good to see a second GamePad is ready, now I just hope someone actually USES it. I think a big part of it is that those consoles are outdated and no longer supported and to most people hacking=piracy (or leads to it) so its automatically bad. Its an uderstandable concern and to be fair the big three share a similar point of view. I like seeing what sort of things the community can do and as long as we can benefit without harming the company I don't see a problem with it. If one had been following the Iwata Asks articles it would be clear that the protocols linking the GamePad and console are indeed custom tailored and highly specialized. I'm not surprised to hear that Nintendo are leaving a lot of doors open hardware wise. They often do, even if they rarely make the most interesting use of their expansion possibilities. One step closer towards making Wii U homebrew a reality. This console could be used as a PC + Drawing Tablet combo. Perhaps a Skype client, given that Microsoft is a rival company and most likely never make an official one (I know Miiverse has a video chat functionality, but ~95% of my skype contacts don't have or use a Wii U). I'm looking forward to hearing more advances on this topic. Kudos to all those guys who make this possible without asking any money in return. Thanks to NL for this info, too. I also reiterate that I condemn any and all attempts, successful or otherwise, to play pirated games using homebrew. Oh and, guys? That you don't care to understand why any average Joe would want to know how the Wii U works doesn't mean that nobody should care. Not to mention this requires a lot of technical expertise, time, patience and effort. Of course this also leads to the potential for alternative GamePads. Third party devs occasionally lead to technologically superior products. Or better still, consider for example an app that gives you the ability to use your iPad or Galaxy Note as a Wii U controller. Interesting development. I'm not sure how to anticipate the impact this will have in the future, but I assure you it WILL have an impact.